Contact Kendall Toyota Alaska today for information on dozens of vehicles like this 2019 Toyota Tundra 4WD SR5. This Toyota includes: BLACK TUNDRA TAILGATE INSERT BADGE (PPO) DOOR EDGE GUARDS (PPO) 50 STATE EMISSIONS *Note - For third party subscriptions or services, please contact the dealer for more information. * Take home this Toyota Tundra 4WD SR5, and you will have the power of 4WD. It's a great feature when you need to drive over tricky terrain or through inclement weather. Beautiful color combination with Super White exterior over Graphite interior making this the one to own! You've found the one you've been looking for. Your dream car. This 2019 Toyota Tundra 4WD SR5 is proudly offered by Kendall Toyota Alaska This Toyota includes: BLACK TUNDRA TAILGATE INSERT BADGE (PPO) DOOR EDGE GUARDS (PPO) 50 STATE EMISSIONS *Note - For third party subscriptions or services, please contact the dealer for more information. * When Toyota created this vehicle with 4 wheel drive, they immediately enhanced the performance ability. Easily switch between two and four wheel drive to take advantage of the improved steering and superior acceleration. Just what you've been looking for. With quality in mind, this vehicle is the perfect addition to take home. Beautiful color combination with Barcelona Red Metallic exterior over Graphite interior making this the one to own! This outstanding example of a 2019 Toyota Tundra 4WD SR5 is offered by Kendall Toyota Alaska. This Toyota includes: BLACK TUNDRA TAILGATE INSERT BADGE (PPO) DOOR EDGE GUARDS (PPO) 50 STATE EMISSIONS *Note - For third party subscriptions or services, please contact the dealer for more information. * This 4WD-equipped vehicle will handle majestically on any terrain and in any weather condition your may find yourself in. The benefits of driving an Four Wheel Drive vehicle, such as this ToyotaTundra 4WD SR5, include superior acceleration, improved steering, and increased traction and stability. You could keep looking, but why? You've found the perfect vehicle right here. This vehicle won't last long, take it home today. Kendall Toyota Alaska is excited to offer this 2019 Toyota Tundra 4WD. This Toyota includes: BLACK TUNDRA TAILGATE INSERT BADGE (PPO) 50 STATE EMISSIONS ALL WEATHER FLOOR LINER Floor Mats DOOR EDGE GUARDS (PPO) SPRAY-ON BEDLINER (PPO) Bed Liner *Note - For third party subscriptions or services, please contact the dealer for more information. * At home in the country and in the city, this 2019 4WD Toyota Tundra 4WD SR5 has been wonderfully refined to handle any occasion. Smooth steering, superior acceleration and a supple ride are just a few of its qualities. The Toyota Tundra 4WD SR5 will provide you with everything you have always wanted in a car -- Quality, Reliability, and Character. Beautiful color combination with Super White exterior over Graphite interior making this the one to own! Kendall Toyota Alaska is excited to offer this 2019 Toyota Tundra 4WD. This Toyota includes: BLACK TUNDRA TAILGATE INSERT BADGE (PPO) 50 STATE EMISSIONS ALL WEATHER FLOOR LINER Floor Mats DOOR EDGE GUARDS (PPO) SPRAY-ON BEDLINER (PPO) Bed Liner *Note - For third party subscriptions or services, please contact the dealer for more information. * Simply put, this Four Wheel Drive is engineered with higher standards. Enjoy improved steering, superior acceleration, and increased stability and safety while driving this 4WD Toyota Tundra 4WD SR5. Based on the superb condition of this vehicle, along with the options and color, this Toyota Tundra 4WD SR5 is sure to sell fast. Just what you've been looking for. With quality in mind, this vehicle is the perfect addition to take home. Contact Kendall Toyota Alaska today for information on dozens of vehicles like this 2019 Toyota Tundra 4WD SR5. This Toyota includes: BLACK TUNDRA TAILGATE INSERT BADGE (PPO) DOOR EDGE GUARDS (PPO) 50 STATE EMISSIONS *Note - For third party subscriptions or services, please contact the dealer for more information. * Want to brave the road less traveled? You'll have the 4WD capabilities to do it with this vehicle. The look is unmistakably Toyota, the smooth contours and cutting-edge technology of this Toyota Tundra 4WD SR5 will definitely turn heads. Based on the superb condition of this vehicle, along with the options and color, this Toyota Tundra 4WD SR5 is sure to sell fast. You can find this 2019 Toyota Tundra 4WD SR5 and many others like it at Kendall Toyota Alaska. This Toyota includes: BLACK TUNDRA TAILGATE INSERT BADGE (PPO) DOOR EDGE GUARDS (PPO) 50 STATE EMISSIONS *Note - For third party subscriptions or services, please contact the dealer for more information. * Handle any terrain with ease thanks to this grippy 4WD. Whether you're on a slick pavement or exploring the back country, you'll be able to do it with confidence. Beautiful color combination with Cement Gray exterior over Black interior making this the one to own! You could keep looking, but why? You've found the perfect vehicle right here. Kendall Toyota Alaska is excited to offer this 2019 Toyota Tundra 4WD. Pull up in the vehicle and the valet will want to parked on the front row. This Toyota Tundra 4WD is the vehicle others dream to own. Don't miss your chance to make it your new ride. This Toyota Tundra 4WD SR5 comes equipped with 4 wheel drive, which means no limitations as to how or where you can drive. Different terrains and varying weather conditions will have no effect as to how this vehicle performs. You could keep looking, but why? You've found the perfect vehicle right here. This is the one. Just what you've been looking for. This outstanding example of a 2019 Toyota Tundra 4WD SR5 is offered by Kendall Toyota Alaska. There's a level of quality and refinement in this Toyota Tundra 4WD that you won't find in your average vehicle. When Toyota created this vehicle with 4 wheel drive, they immediately enhanced the performance ability. Easily switch between two and four wheel drive to take advantage of the improved steering and superior acceleration. This vehicle won't last long, take it home today. Beautiful color combination with Red Metallic exterior over FB20 BLACK interior making this the one to own! This outstanding example of a 2019 Toyota Tundra 4WD SR5 is offered by Kendall Toyota Alaska. This 4WD-equipped vehicle handles any condition on- or off-road with the sure footedness of a mountain goat. With unequaled traction and stability, you'll drive with confidence in any weather with this Silver 2019 4WD Toyota Tundra 4WD SR5. The look is unmistakably Toyota, the smooth contours and cutting-edge technology of this Toyota Tundra 4WD SR5 will definitely turn heads. This is the one. Just what you've been looking for. You can finally stop searching... You've found the one you've been looking for. Contact Kendall Toyota Alaska today for information on dozens of vehicles like this 2019 Toyota Tundra 4WD SR5. You deserve a vehicle designed for higher expectations. This Toyota Tundra 4WD delivers with a luxurious, well-appointed interior and world-class engineering. With 4WD, you can take this 2019 Toyota Tundra 4WD to places roads don't go. It's all about the adventure and getting the most enjoyment out of your new ride. You could keep looking, but why? You've found the perfect vehicle right here. This is about the time when you're saying it is too good to be true, and let us be the one's to tell you, it is absolutely true. 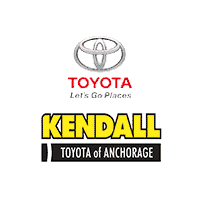 This 2019 Toyota Tundra 4WD SR5 is proudly offered by Kendall Toyota Alaska There's a level of quality and refinement in this Toyota Tundra 4WD that you won't find in your average vehicle. This Toyota Tundra 4WD SR5 comes equipped with 4 wheel drive, which means no limitations as to how or where you can drive. Different terrains and varying weather conditions will have no effect as to how this vehicle performs. Just what you've been looking for. With quality in mind, this vehicle is the perfect addition to take home. Beautiful color combination with Gray exterior over FC13 GRAPHITE interior making this the one to own! You can find this 2019 Toyota Tundra 4WD SR5 and many others like it at Kendall Toyota Alaska. This Toyota includes: BLACK TUNDRA TAILGATE INSERT BADGE (PPO) DOOR EDGE GUARDS (PPO) 50 STATE EMISSIONS *Note - For third party subscriptions or services, please contact the dealer for more information. * Want to brave the road less traveled? You'll have the 4WD capabilities to do it with this vehicle. You can finally stop searching... You've found the one you've been looking for. You could keep looking, but why? You've found the perfect vehicle right here. This 2019 Toyota Tundra 4WD SR5 is offered to you for sale by Kendall Toyota Alaska. You appreciate the finer things in life, the vehicle you drive should not be the exception. Style, performance, sophistication is in a class of its own with this stunning Toyota Tundra 4WD. With 4WD, you can take this 2019 Toyota Tundra 4WD to places roads don't go. It's all about the adventure and getting the most enjoyment out of your new ride. Beautiful color combination with Tan exterior over FC20 BLACK interior making this the one to own! This vehicle won't last long, take it home today. This 2019 Toyota Tundra 4WD SR5 is proudly offered by Kendall Toyota Alaska This Toyota includes: BLACK TUNDRA TAILGATE INSERT BADGE (PPO) 50 STATE EMISSIONS ALL WEATHER FLOOR LINER Floor Mats DOOR EDGE GUARDS (PPO) SPRAY-ON BEDLINER (PPO) Bed Liner POWER HEATED OUTSIDE TOW MIRRORS Integrated Turn Signal Mirrors Power Mirror(s) Heated Mirrors *Note - For third party subscriptions or services, please contact the dealer for more information. * This vehicle comes with 4WD for better traction on unstable surfaces, like snow and dirt to give you the edge over anything you might encounter on the road. There is no reason why you shouldn't buy this Toyota Tundra 4WD SR5. It is incomparable for the price and quality. Just what you've been looking for. With quality in mind, this vehicle is the perfect addition to take home. Kendall Toyota Alaska is excited to offer this 2018 Toyota Tundra 4WD. Taking the road less traveled has never been more fun than with this 4WD. With improved performance, mileage and acceleration, this 2018 4WD Toyota Tundra 4WD SR5 is king of the off-road. This is about the time when you're saying it is too good to be true, and let us be the one's to tell you, it is absolutely true. The Toyota Tundra 4WD SR5 will provide you with everything you have always wanted in a car -- Quality, Reliability, and Character. Just what you've been looking for. With quality in mind, this vehicle is the perfect addition to take home. This outstanding example of a 2019 Toyota Tundra 4WD SR5 is offered by Kendall Toyota Alaska. You deserve a vehicle designed for higher expectations. This Toyota Tundra 4WD delivers with a luxurious, well-appointed interior and world-class engineering. At home in the country and in the city, this 2019 4WD Toyota Tundra 4WD SR5 has been wonderfully refined to handle any occasion. Smooth steering, superior acceleration and a supple ride are just a few of its qualities. You can finally stop searching... You've found the one you've been looking for. Just what you've been looking for. With quality in mind, this vehicle is the perfect addition to take home. Contact Kendall Toyota Alaska today for information on dozens of vehicles like this 2019 Toyota Tundra 4WD SR5. You appreciate the finer things in life, the vehicle you drive should not be the exception. Style, performance, sophistication is in a class of its own with this stunning Toyota Tundra 4WD. With 4WD, you can take this 2019 Toyota Tundra 4WD to places roads don't go. It's all about the adventure and getting the most enjoyment out of your new ride. This is about the time when you're saying it is too good to be true, and let us be the one's to tell you, it is absolutely true. You've found the one you've been looking for. Your dream car. Contact Kendall Toyota Alaska today for information on dozens of vehicles like this 2019 Toyota Tundra 4WD SR5. Pull up in the vehicle and the valet will want to parked on the front row. This Toyota Tundra 4WD is the vehicle others dream to own. Don't miss your chance to make it your new ride. Where do you want to go today? With 4WD, you can choose to drive virtually anywhere and on terrain 2WD vehicles can't handle. You can finally stop searching... You've found the one you've been looking for. This is about the time when you're saying it is too good to be true, and let us be the one's to tell you, it is absolutely true. Experience the beef and brawn of the brand new Toyota Tundra at Kendall Toyota of Anchorage! Authentic and classic, the Toyota Tundra comes with a choice of incredibly powerful engines. Choose between a 4.6L V8 and a 5.7L V8, both with a six-speed automatic transmission with standard rear-wheel drive and available four-wheel drive. With fast acceleration and excellent handling this is one truck perfect for battling slick roads and snowy weather. It’s also off-road capable, and quite proud of its abilities, giving the Toyota Tundra an edge that other trucks don’t have. 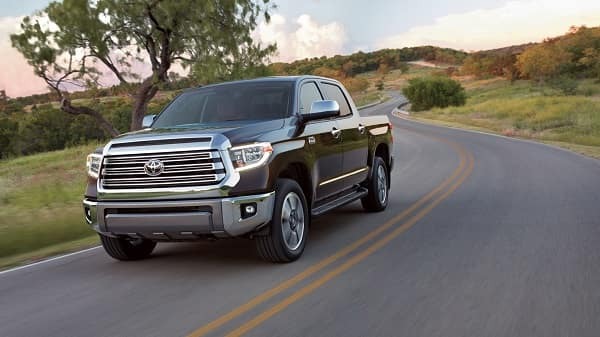 The new Toyota Tundra in Anchorage is available in Toyota Tundra SR, Tundra SR5, Tundra Limited, Tundra Platinum, Tundra 1794 Edition, and Tundra TRD Pro trim levels. Begin your Tundra adventure by browsing our available inventory, then stop by our Kendall showroom and flex the muscle that is the Toyota Tundra by taking it out for a test drive. Our dealership is conveniently located at 6930 Old Seward Highway in Anchorage, Alaska 99518. We are just a short drive away from Eagle River, Kenai, and Wasilla. Award-winning and sporting a plush interior with swanky trim and a bevy of features, you’re going to take care of business in this pickup and look good doing it. Now that you’ve browsed our available inventory at Kendall Toyota, feel free to give us a call or contact us online. Our friendly and knowledgeable team of professionals will be here to assist you throughout the Toyota truck buying process. Get out of the old and into the new by letting us buy your current vehicle and give you fair trade-in value. It’s simple and hassle free, which makes for an enjoyable and easy experience. We also work with all types of credit and welcome all students, current and former military, and commercial providers. Apply for an auto loan today by visiting our finance center. While you’re there, go ahead and check out our car payment calculator and get an estimate on your future payment. The Toyota Tundra has two different powerful V8 engines and a six-speed automatic transmission with front independent suspension. It rides tall on eighteen-inch steel wheels with wheel locks. With superb handling and a smooth ride, the Toyota Tundra is the truck other trucks wish they could be. It’s the perfect truck for fun and for serious business with up to 10,400 pounds of towing capacity. Awarded a top rating of “Good” overall by the Insurance Institute for Highway Safety, the Toyota Tundra is also serious about safety. Standard safety features are plentiful and impressive on even the base model with all season tires, four-wheel anti-lock brakes, emergency braking assist, stability and traction controls, trailer sway control, side-impact door beams, electronic brake-force distribution, Smart Stop brake-override technology, rear view camera, and a suite of eight airbags. Also included is the VIP RS3200 Security System. Premium optional features include blind-spot monitors with rear cross-traffic alerts and more. Remote keyless entry gets you out of the rain and snow fast and into the comfort of your new Toyota Tundra. This truck isn’t all serious business and it proves it by providing the driver and passengers with several entertainment features. Bluetooth wireless data link provides hands-free calling and audio streaming. The Entune Audio system has won over critics with its smartphone connectivity, iPod connectivity, USB port, and six-inch touchscreen display. You can upgrade to include a navigation system with smartphone app capability. At Kendall Toyota, we won’t just be there to sell you a new Toyota truck. We’ll be there for you for the lifetime of your vehicle. You are welcome back anytime for all of your regular maintenance and repair needs at our Toyota Service Center. If you need to order parts and accessories, look no further than our Toyota Parts Center. Durable and authentic, the Toyota Tundra is the truck you don’t just want–it’s the truck you need.